Lt. Col. 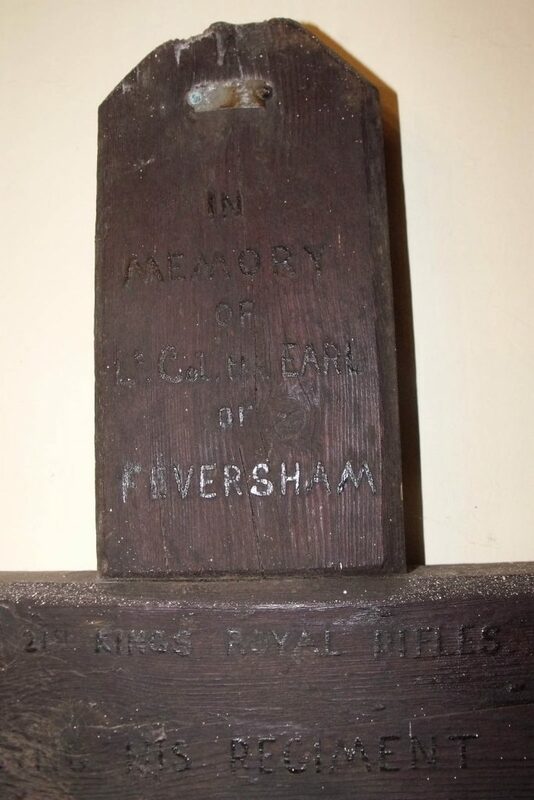 The EARL OF FEVERSHAM. Location address: St John the Baptist Church, Pockley, Helmsley, YORK, YO62 7TQ,North Yorkshire. KILLED WHEN LEADING HIS REGIMENT SEPT 15th 1916. Text type (e.g. 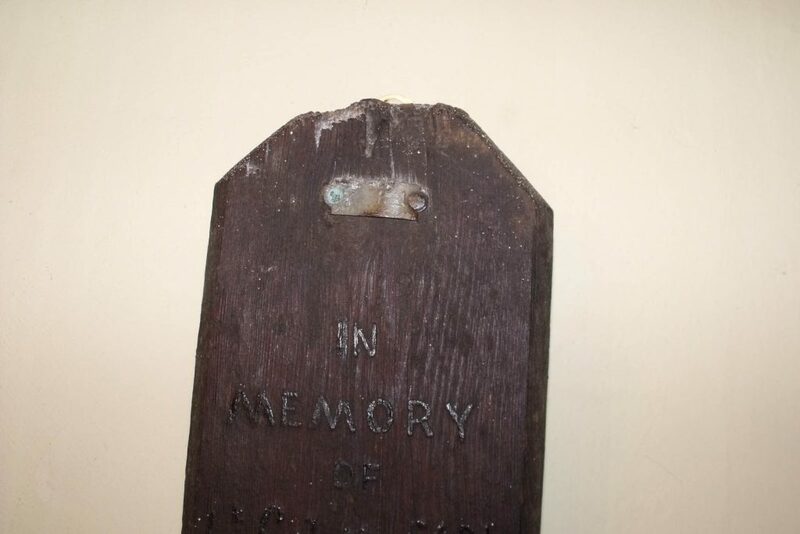 hand-written, GRU tags, carved): Appears to be carved in relief and then possibly painted black. Certainly the letters feel raised. There is a GRU tag but this only appears to show a single number “1”. It is difficult to read as it well above head height on the wall. Mounting to wall: Single hidden attachment at the top. There is a book in the church, published by the Ryedale Family History Group, which provides much detail about the circumstances that led to the death of the Earl. This includes the fact that the Earl’s body was not found until a month after his death. 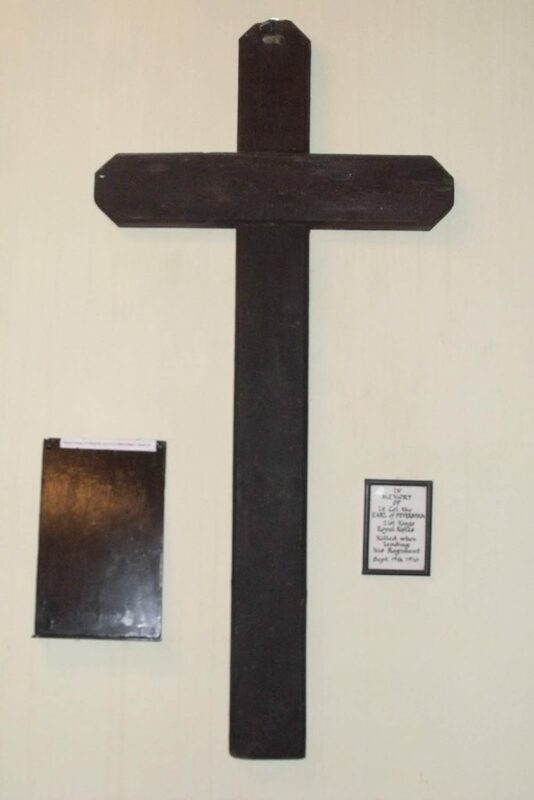 It goes on to state that the body was recovered by one of the men from his estate who managed to bury the Earl and get together some wood to make a cross and to write his name on the cross. It then suggests that this must be that cross and the other Battlefield cross associated with the Earl at Rievaulx was a later cross. 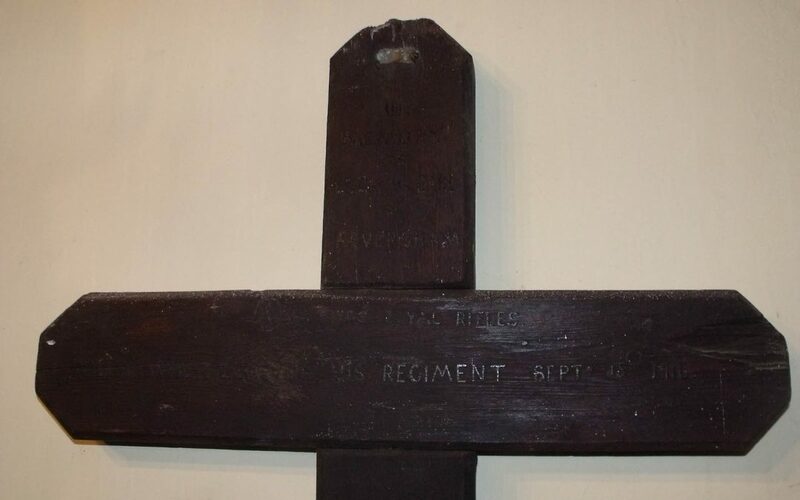 I believe that the writing on this cross is too well done to be the earlier cross created under battlefield conditions. The Rievaulx Cross is much more rustic and has more of the feel of a hastily created piece.